Beautiful black tree silhouette is hand transferred onto a cream decorator linen look 16" x 16" pillow. The natural contrast between the black image and white fabric add a touch of history to any room. Find it at Word Garden. 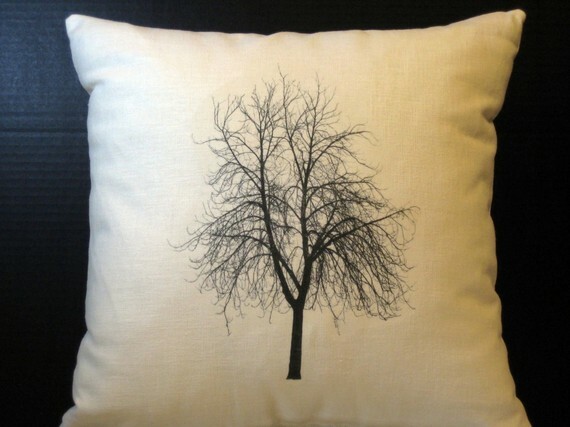 Thank you so much for featuring my Tree of Life pillow! It is one of my best sellers!